Detectaclean is a leading supplier of metal and X-ray Detectable products used in the production of Food, beverage and Pharmaceuticals. A comprehensive range of cost effective, metal detectable products are available from Detectaclean, such as pens, cable ties, earplugs, beard snoods, spatulas, safety knives, wound dressing and a full list of stationery. Detectaclean products can be used in conjunction with the HACCP benchmark. Together with its sister companies SprayNozzle Engineering and Reel-Tech, working together to deliver a complete innovative Spraying and Metal Detectable solutions for both the Australian and New Zealand Food and Beverage Industry. 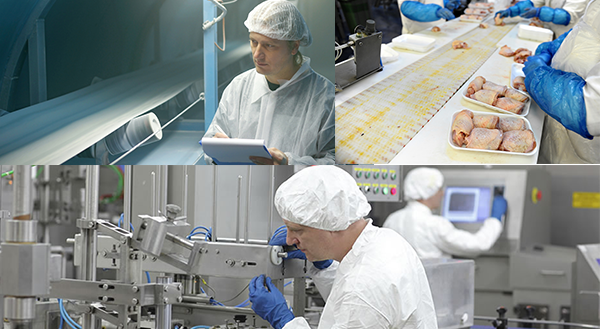 PROHACCP is a manufacturer of metal detectable and x-ray visible products that can be used in food processing and pharmaceutical industries. PROHACCP metal detectable products are produced in European Union and comply with european and global regulations on food safety. PROHACCP metal detectable products have been tested by TUV Rheinland in Germany to prove that they meet all the regulations of food contact approval. While every care is taken to test the properties of Hill Brush Total MDX Brushware™, detectable products are most effective when used in conjunction with correctly calibrated, metal detection equipment. The Hill Brush Company Ltd (HBC) was established in 1922 by two brothers, Fred and Bill Coward. Fred was an avid fisherman, so when thinking of how best to represent their brand, he suggested a ‘Salmon’ as the logo. Salmon® Hygiene Technology products are now recognised across the globe and have become the benchmark for quality by food and beverage manufacturers around the world. Hill Brush Premier and Professional ranges include the largest selection of hygienic tools and brushware, widely used by industry professionals. The Ultimate range features the pinnacle of all these products, giving you maximum choice from entry level to advanced.